FVCbank, a community bank with eleven offices in the DC metro area, promoted Lisa Craze to Senior Vice President, Loan Documentation & Administration. 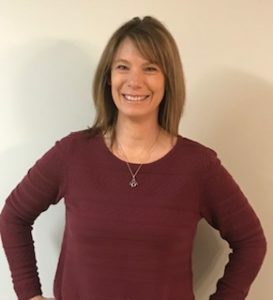 Craze, previously a Vice President, Commercial Lending Assistant and Receptionist, has been with FVCbank since May 2008. Before starting her banking career, Lisa worked as a legal assistant with various real estate attorneys in the Fairfax, Virginia area. Craze has been responsible for, among other things, overseeing all commercial and consumer loan closings from loan documentation to funding and booking. This role has led her to supervise the work of four accomplished individuals that help make FVCbank’s loan department a success. “Lisa and her team have provided consistent support and expertise while always being responsive, helpful and able to deliver as promised. Her leadership has been instrumental in the bank’s ability to generate the high level of loan production over the last several years,” said Bank President Patricia Ferrick. When Lisa is not working, she enjoys reading, working out, watching baseball and spending time with her husband and two children.